Desk chairs have come a long way from the traditional ones of yesteryear. 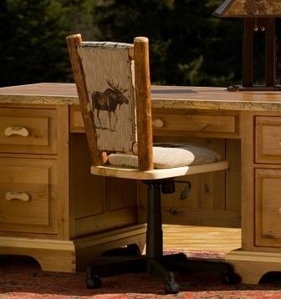 Our Frontier Upholstered Swivel Chair or our Cedar Executive Chair can make the perfect desk chair for your office. Be creative and have casters added to any Old Hickory chair to create a great looking functional addition to your office furnishings.